Do you find yourself a huge fan of fireworks? Do you always arrive precisely when you mean to? Do you find your wardrobe horribly monochromatic? If you answered yes to any of these, you might be a wizard of Middle Earth. We hate to set unreasonable standards, but we're pretty sure being a wizard requires a long lustrous beard. But hey, if you're a wizard, you can probably grow one instantly right? Oh, you don't know that spell? Well. We suppose we can help you out a little then. 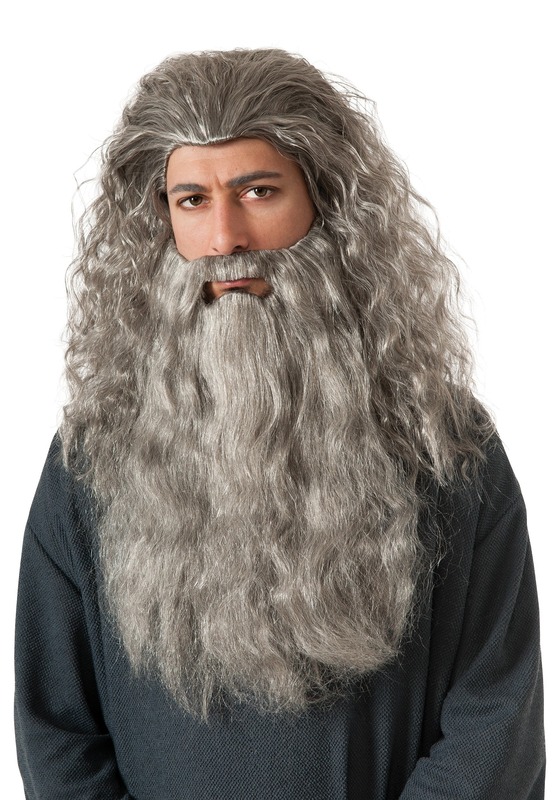 Check out our Gandalf Beard Kit. It's 100 percent synthetic, and comes with the full beard and hair. Mind you, you may need to fluff it a little to find the proper "Grey Pilgrim" look, but you're sure to look magical when you do.